If you’re in the process of buying a new build property, you may have heard of new building snagging. However, it’s important to understand what it is and what it involves as it could save you money on avoidable repairs. New building snagging is a service provided by many property inspectors and the aim is to ensure new properties are finished to a high standard and without defects. When you buy a new build home, you do so under the assumption that everything inside the home is up to the high standard you’d expect. After all, if everything is brand new how could anything go wrong? However, things do go wrong on occasion and some homeowners are left with problems that can prove to be costly. This is why it’s always important to have a building survey carried out before making the final purchase. However, a traditional property survey could be deemed a little excessive as most new build homes are free from issues and problems are rare. This is where a new building snagging survey comes in. What Is a Snagging Survey? A snagging survey is a type of new build inspection, one that’s designed to check for problems in newly built homes. Though any problems should have been identified by those building the property, issues can be missed and therefore a building survey is advised. New building snagging surveys are usually carried out before the new homeowners move in, simply so that any problems can be addressed and fixed beforehand. Many housing problems, from minor issues to major structural defects, are more difficult to fix when people are using the property. Therefore, a detailed property inspection should be completed before the move in date and should allow time for any repairs to take place. 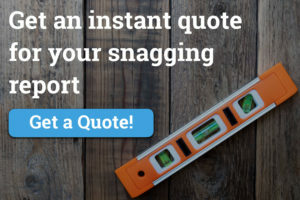 In fact, our snagging experts usually recommend for new build snagging surveys to take place in the time period between building work being finished and the legal completion date of the sale. There are different legal requirements surrounding new build properties and, of course, there are some developers that prefer building surveys to take place after the completed sale. In cases such as this, it’s best to have a new build survey completed as soon as possible after you have moved in and, generally speaking, developers must repair any problems found within the first two years. New building snagging surveys are slightly different to traditional property inspections; rather than surveying a house to check for any major structural damages or underlying problems, a snagging survey goes above and beyond. As new buildings have yet to be lived in, there’s been no one to test all the little things that go into making it a home. For example, whose to say whether there’s a leaky tap or whether a door sticks in bad weather? This is why snagging surveys are so important for new buildings. Minor problems such as leaky taps, doors that don’t close property, loose kitchen fixtures and missing items. Major structural problems and bigger issues such as broken windows, cracked tiling and poorly finished flooring. Cosmetic damage such as scratched worktops, chips, paint splashes and anything that appears unfinished. How Much Does a Snagging Report Cost? Though new build snagging surveys can be completed individually, it’s always advised to have a professional conduct things. Not only does this ensure that nothing is missed, but it’s also a great way to give yourself peace of mind that your home is safe and finished to a high standard. Many property surveyors and building inspectors offer snagging surveys. However, when the home is a new build property it is worthwhile to enlist the help of someone with experience in this specific type of snagging report. The cost of a new building snagging survey can vary and snagging report pricing can differ. You can take a look at our pricing or alternatively get in touch for a bespoke quote. This may seem like an additional outgoing cost initially and though that is true, it’s important to remember that snagging surveys can save a lot of money in the long run by highlighting potential risks and major problems. If a problem is found after the developer has finalised the project, repairs are likely to be costly. It is the job of professional snagging inspectors like us to conduct a snagging survey on a new build property. Our snagging inspectors have the experience, skill and eye for detail that’s required when spotting potential repairs and damages. A lot of the issues that are found during a snagging survey are minor and therefore easily missed. In fact, many homeowners wont notice the issue until further down the line. Once the snagging report has been conducted, the professional snagging inspector will report what they have found to the homeowner and the property developer. It is then up to the developer to ensure all repairs are made promptly. There are many benefits to hiring professionals such as MDR Home Inspections for your snagging report, mainly that it takes a great deal of worry away from you. Moving into a new home can be stressful and busy, so handing over the inspection responsibility to a trained expert is helpful. Plus, with a great deal of experience in new build homes, a snagging inspector will know the little things to look out for. 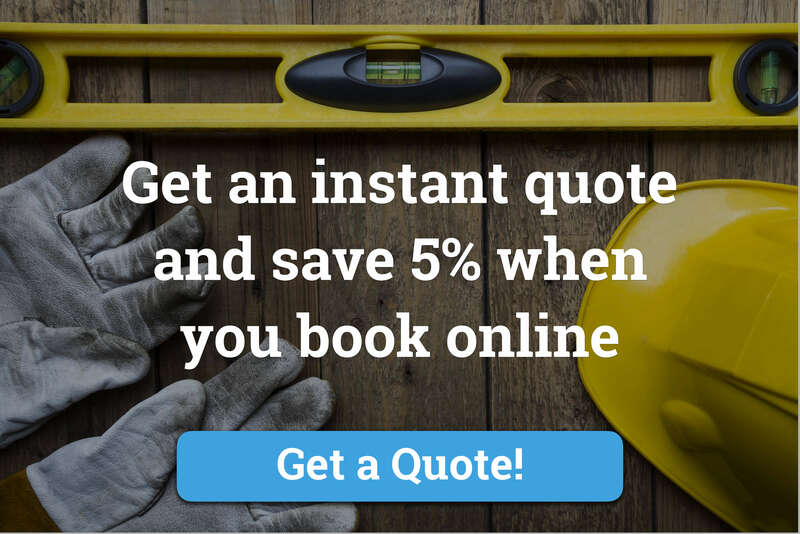 If you’re looking for professional snagging surveys and property inspection, we can help. At MDR Home Inspections we have a fantastic team of trained professionals and we’re able to offer new building snagging and property inspections for a range of different properties. Regardless of size, we’re on hand to help. To find out more, get in touch. MDR Home Inspections was founded by Michael Reynolds a Professional House Builder who has worked in the construction industry for over 20 years. Being from a Construction background, Michael has moved many purchasers into their new homes and therefore shares a vision and passion for what the purchasers should expect from their investment. MDR will make your move go swimmingly! Got a question about your snagging report? We aim to respond to your questions within 24hrs.